S3/RS3 Pedals and OSIR dead pedal cover. 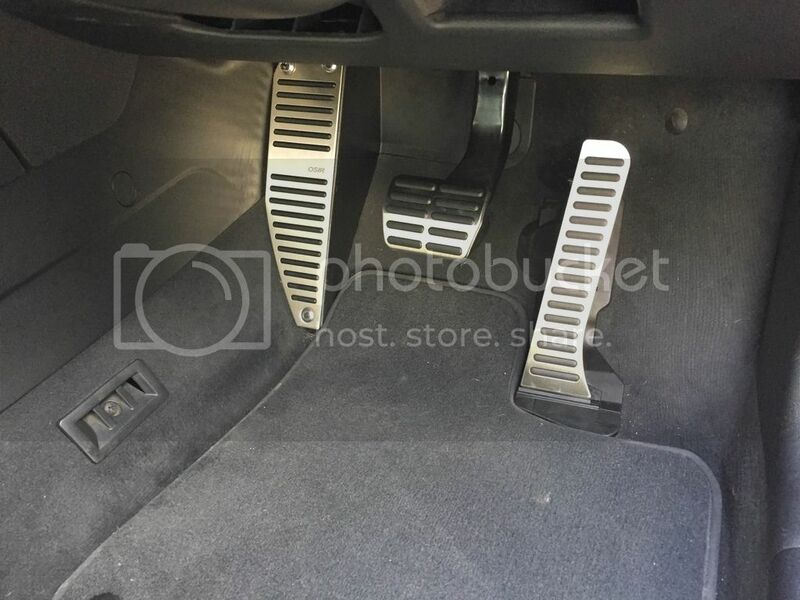 Pretty sure all Audi S/RS and Golf GTI/Rs all have these but its something you probably don't miss unless you don't have them. Makes a big difference to the look of the interior. Also got a set of interior mats from Rubbertree.co.nz a month or so back. Originally got an OEM set but the silver piping didnt look right. These match the factory carpet nicely and have the OE mounting holes. Pedals look great; where did you get them from if you don't mind sharing? Cheers. I got the S3 Pedals from Tuning Fanatics on eBay. I wouldnt recommend them (sent wrong product initially then refused to refund my return postage - after initially agreeing in writing to). I would recommend buying from BKS Tuning. Car looks great! Quick questions though. Where did you get your roof wrapped and how much did it cost? I'm looking to get that done, too. Was also wondering if I should wrap my spoiler along with it. Thoughts?